Certified nursing assistant training programs help students acquire the knowledge and skills to care for residents, patients, and clients who are unable to care for themselves. Graduates are eligible to sit the NNAAP exam for certification in Washington State. Certified Nursing Assistants (CNAs) provide emotional and social support to patients and their families. They work closely with patients and are able to monitor changes and communicate vital information to doctors and nurses. Employment opportunities for CNAs are on the rise in response to the growing healthcare needs of seniors. 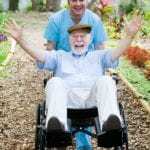 They work in family homes, assisted living facilities, skilled nursing homes, retirement homes, rehabilitation centers, and hospitals. The salary for CNAs varies from $13 to $18 per hour depending on experience, facility and training. Many CNAs use the career as a stepping stone to nursing or other healthcare professions. The nursing assistant program at Bellevue College prepares students for success on the NNAAP for certification as a CNA Washington State. The state-approved program includes on-campus lectures, practical experiences in a clinical lab, and a supervised clinical experience in a community hospital or long-term care facility. Students will develop nursing assistant skills that will give them the confidence to care for patients or residents in a long-term care facility. The program is open for admission every quarter. Interested persons must attend a required information session, read the functional abilities required for the program, submit an application before the deadline, and submit documentations of meeting the immunization requirements, the CPR card, complete the NAC Conviction Criminal History Disclosure form, complete a criminal background check, and COMPASS e-write test scores. A minimum score of 8 will be required for admittance to the program. Tuition for the program is $1,290. A non-refundable deposit of $60 must be paid upon acceptance – will be deducted from the tuition. The nursing assistant program at NAT includes classroom lectures and practical training in a skilled nursing facility to prepare students for the state exam and success on the job. 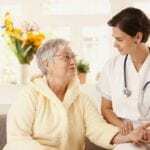 The program covers the roles and responsibilities of a CNA, rules and regulations governing health care, basic restorative care, personal care skills, infection control, safety and emergency procedures, communication skills, resident rights and independence, and care for the cognitively impaired. The training also includes the state required 7 hours HIV/AIDS training. Students must attend all classes, pass all exams with a score of 80% or higher, and complete the clinical practicum to successfully complete the class. The state certification exam is conveniently offered at NAT’s facility. Applicants must pass the entrance exam (English, writing, reading, and comprehension), pass a DSHS Washington state background check, and provide appropriate identification and social security card. All applicants must be able to comfortably lift up to 50 pounds. Day and weekend class schedules are available. Registration and tuition for the program cost $600 and must be paid by the first day of classes. Seni NATC gives nursing assistant students a basic understanding of the health care environment and the role of the nursing assistant. They also develop cultural awareness in all aspects of care, effective communication skills, technical skills to meet the daily needs of residents, infection control measures including 7 hours of HIV/AIDS awareness, safety and emergency procedures, and reporting skill. There are three training schedules to choose from: a morning schedule (3 weeks), evening schedule (4 weeks), and weekend schedule (5 weeks). Graduates are eligible to take the state certification exam at Seni’s approved testing facilities. Applicants must have a high school diploma or GED or pass the placement test for reading, understanding, and basic math, submit TB test results, and supply identification and a valid email address. Students must wear the school-approved uniform for the classroom and clinical sessions. Tuition for the program is $500. Registration costs an additional $60. DT&T nursing assistant training program is approved by WA state Workforce Training and Education Board and the Department of Health. Graduates are eligible to sit for the OBRA test to become state certified. The school offers personalized instruction, affordable tuition, experienced instructors, and a commitment to students’ success. The training includes CPR and 7 hours of HIV/AIDS training. Morning and evening schedules are available. Morning classes meet Tuesdays, Wednesday, and Thursdays from 9:00 am to 1:00 pm for 5 weeks. Evening classes are Mondays, Wednesdays, and Fridays from 5:00 pm to 9:00 pm. Weekend classes may be available – based on demand. Tuition costs $500 and includes books, CPR, registration and HIV/AIDS training.